Getting a nice massage feels good. But did you know it actually has measurable health benefits? Massage can help lower hormonal markers of stress, manage pain, and also help manage high blood pressure (that last one is partly from the effects on stress hormones, but partly from the physical effects of the massage itself). Here’s a look at the evidence. Everyone knows it’s important to manage stress: we get a constant stream of headlines describing how stress makes you more vulnerable to weight gain and chronic disease, shortens your life, triggers Irritable Bowel Syndrome, causes autoimmune disease flares, and basically everything else horrible in the world. But most of us can’t just command ourselves to stop being stressed, so after reading all about how deadly stress is, we’re not left with much of a solution. But here’s one concrete thing that you can do to physiologically reduce stress: get a massage. The effect doesn’t seem to last very long: if you want to keep seeing effects, you have to keep up with the massages. That makes perfect sense: there’s nothing about a massage that prevents cortisol levels from rising again. You get your massage, but then you go out into the stressful world and get stressed again. It’s a little bit like showering – it gets you clean, but then you go out into the big grimy world and get dirty again. You have to keep showering regularly if you want the benefits. That study was from 2010. Since then, a few more studies (like this one and this one) have supported a temporary effect of stress reduction from a massage session. This study also started filling in one of the gaps that the review identified: long-term studies. The researchers gave nurses four weeks of either massage (25-minute sessions twice a week) or placebo. At the end of the four weeks, and found that the massage lowered occupational stress in the intervention group. That suggests that, just like showering regularly keeps you clean all the time, getting a massage regularly might help you stay in a low-stress state all the time. It’s not completely clear why massage therapy has this effect. It might be just the simple power of giving people an “excuse” to lie still and be calm for 45 minutes to an hour, without feeling guilty over “not doing anything” or getting up to check their phones. If that’s true, it’s a pretty depressing commentary on the amount of quiet and relaxed “down time” most of us get in a day, but if massage is the way to make that happen, then massage it is! It might also be the human touch. There’s a substantial amount of research showing that human touch has health benefits all on its own, regardless of any specific massage-related knowledge. But considering that massage by trained professionals is more effective for stress reduction than massage by a relative and that massage therapy is more effective than plain touching for cancer patients, there’s probably something going on besides the touch. Another benefit of massage is lowering physical pain levels. This might be the cause or the effect of stress reduction – or both. Pain is stressful, especially chronic pain. There’s actually evidence that chronic pain alters stress hormones (like cortisol) as an adjustment to living with the pain. Reducing pain can improve stress, and massage is effective for reducing some types of pain, although the evidence is pretty mixed. For example, it’s particularly effective for reducing cancer pain and improving quality of life among cancer patients. It’s also shown some benefits for patients with fibromyalgia. Reducing stress might also be one reason why massage helps reduce the pain – there’s also evidence that stress hormones can contribute to chronic pain (by affecting inflammation and reducing the body’s ability to heal). Massage could kick off a happy upward cycle where lower stress hormones reduce pain, which lowers stress hormones. 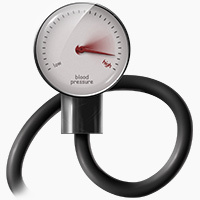 Stress could also be one reason why massage is surprisingly effective for lowering blood pressure. This effect might also be caused by the mechanical stimulation of the massage, or (more likely) it’s the combination of both. Massage increases activity of the parasympathetic nervous system (“rest and digest,” the opposite of “fight or flight”). The “rest and digest” activity of the parasympathetic nervous system allows blood vessels to dilate, which decreases blood pressure. Massage affects the function of the hypothalamus-pituitary-adrenal (HPA) axis. This is basically the idea that the stress reduction benefits of massage (see above) translate to blood pressure. It’s true that chronic psychological stress does tend to increase blood pressure, so if massage really does reduce psychological stress, this is very reasonable. Massage increases blood flow, which might help improve the function of endothelial cells (the cells that line blood vessels). The authors concluded that the reduction in blood pressure is likely caused by a “complex integration of central and peripheral mechanisms across physiological and psychological domains,” or to translate that into English, it’s probably the psychological stress-reduction and the physiological effects. The review authors noted that a lot of the studies were of relatively low quality, which is irritating and disappointing. Specifically, one of their complaints was that the benefits of massage for blood pressure weren’t necessarily being evaluated in people with high blood pressure. But another, more recent review looked specifically at people with hypertension and prehypertension, and found that there was a benefit for that population specifically. The documented improvements in blood pressure and pain from getting a massage might be the reduction of psychological stress, or it might be from physiological benefits. Very possibly it’s both. Either way, it’s a reminder that psychological health and physical health aren’t two separate things, and it gives you a concrete thing that you can actually do to improve both aspects of health.